Thank you for downloading the A-Z Fundraising Pack. Click on the link below to view the pack, also below are a few other guides you may find useful. A simple guide which outlines six organisations that offer funding. Read about why we are the Canopy Experts! 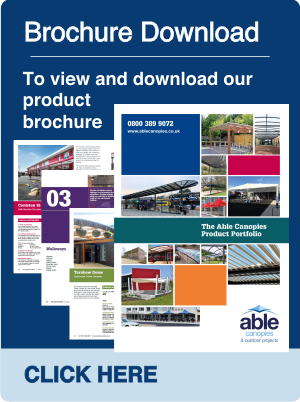 We are the UK’s Leading Supplier and Installer of Canopies & Shelters. We have1000’s of happy clients, inc; Head Teachers, Site Managers & Caretakers of Schools & Educational Facilities. 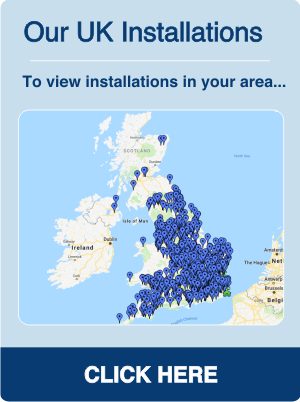 Free Site Survey - Call us now on 0800 389 9072 to find out if you qualify. Leasing Option - To fund your canopy, shade sail or shelter. Free Post Pads - Help keep your pupils safe. Free Planning Advice - If you need planning we can guide you through the process. 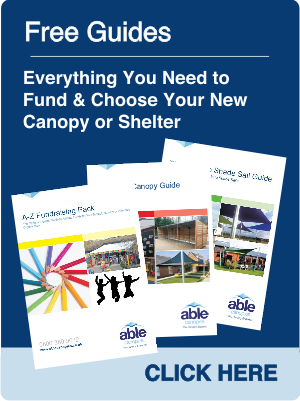 Free Funding Advice - You may be eligible for Funding for your Canopy. 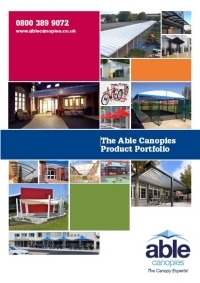 “Able Canopies Ltd, have undertaken jobs at two of the schools I help maintain for Somerset County Council. One job was at Bowlish Infants School - Shepton Mallet which involved the construction of a new polycarbonate mono-pitched children’s shelter attached to the main building, which was carried out on time and to the quotation cost in a professional manner and to a well constructed standard. The other job was carried out on my recommendation to the head at Horrington Primary School - Near Wells but under the heads direct management. This was a similar polycarbonate mono-pitched children’s shelter but erected in a difficult location attached to the main building but surrounded on three sides by existing structure. Although I didn’t deal directly with Able Canopies regards this job, I did inspect following construction and again I am happy with the works undertaken from a construction / appearance point of view. 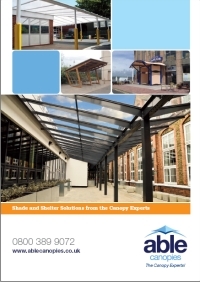 Both heads of these schools have expressed their satisfaction in respect of the customer service and the way the works were undertaken on site as well as the quality of the finished product provided by Able Canopies Ltd.
"We have had three canopies from Able over the last few years, and all are proving to be excellent investments. Assistance with planning is excellent and the work is always carried out safely and with the minimum of disruption by their construction team. Their prices are extremely competitive and I would strongly recommend them to any school looking to enhance their outside play areas." "The canopy we have had installed by your company has been an excellent addition to our Centre, the children are able to access our outside classroom nearly every day regardless of the weather. The UV protection within the canopy is fantastic as sun safety is paramount to our safe guarding procedures and policies. "